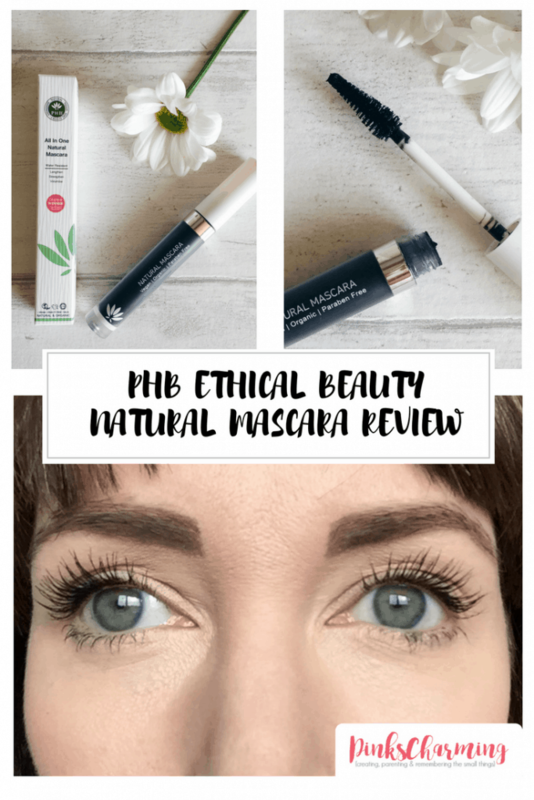 PHB Ethical Beauty Mascara: The Perfect Natural Mascara? So did it live up to this description? The packaging is minimal, with a silver-colourd band and arrives in a cardboard box. The brush is a spiral bristle brush, which is my favourite kind. I never get on with the plastic brushes as I find my lashes just get stuck together. No such problems with this brush. It tapers to a narrow point, which is brilliant for getting into the corners and for the lower lashes. In a word, I’m impressed. Very impressed. 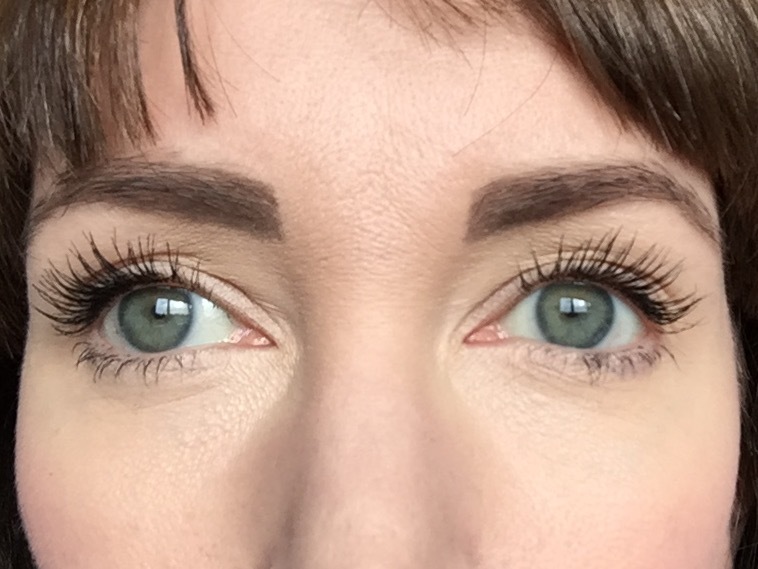 Sorry for the slightly scary close ups, but these photos do show just how effective this mascara is. They are all untouched images (I wouldn’t even know where to begin attempting to retouch them anyway!) 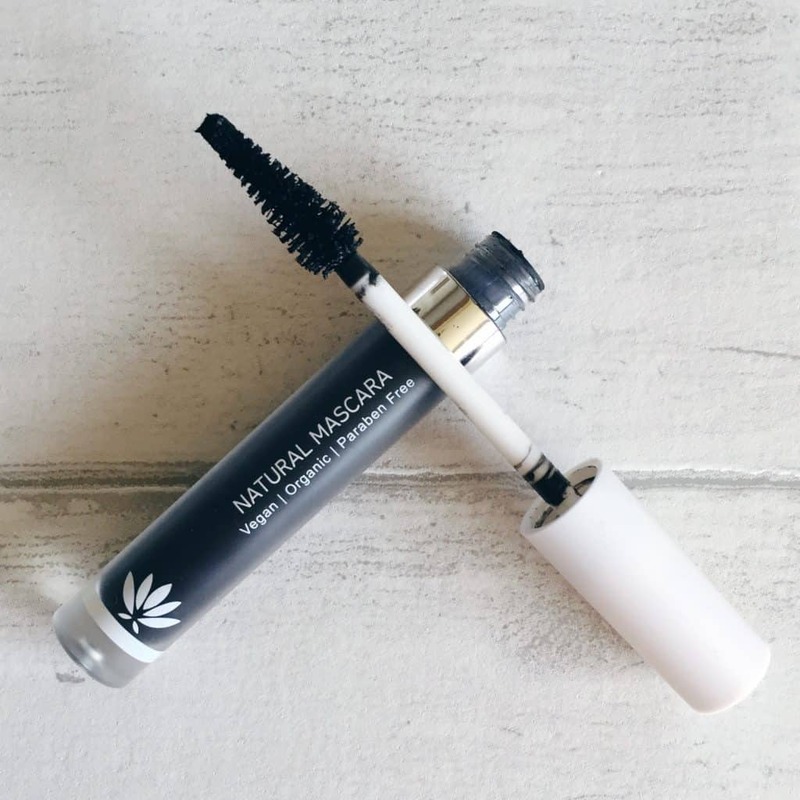 PHB Ethical Beauty Mascara adds both length and volume, and doesn’t clump. To show you the difference this mascara makes, I just used it on one eye to begin with. 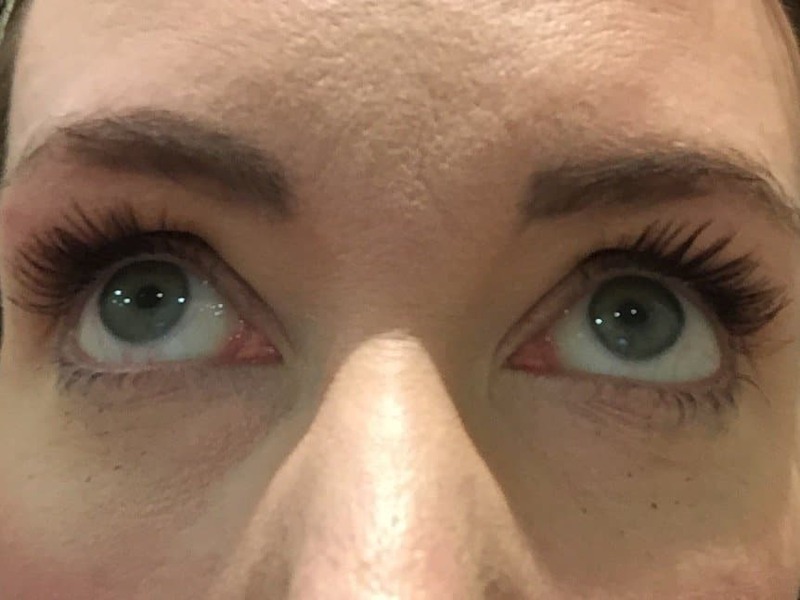 My lashes are naturally quite long, and have blonde tips, so although this result looks great, it hasn’t added as much length as it might look. I’d advise letting the first coat dry for about five minutes, before you add another (if desired – you could totally just use one coat!) Normally, because I have quite long lashes, I have to comb them through, but I didn’t really need to, thanks to the wire brush. I have put two coats on the left eye and just one on the right. You can’t see a huge difference in length but you can see there is more volume. 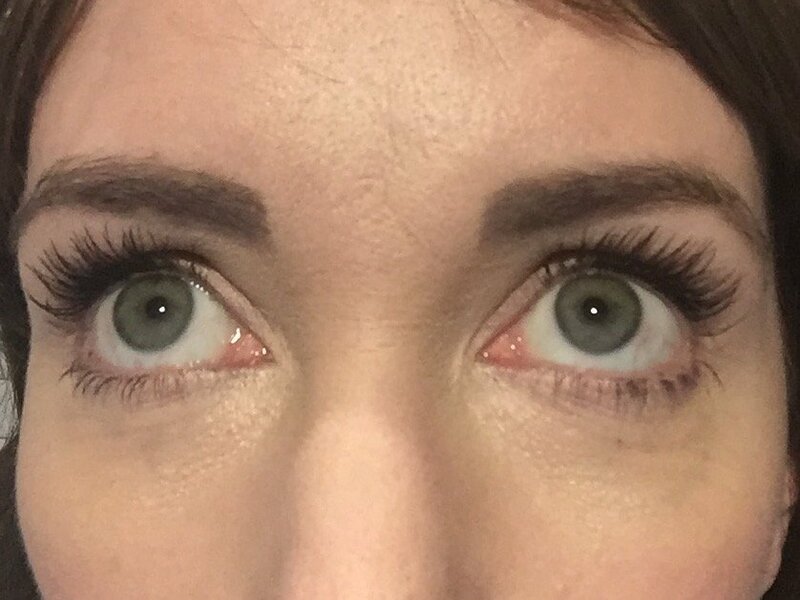 Two coats of mascara on the left, one one the right. Is PHB Ethical Beauty Mascara Waterproof? Well, amazingly, I think it is! It’s certainly water resistant, if not waterproof. I’m not sure how it would cope with a proper deluge, but here I am after spending the afternoon in a hot tub, steam room and sauna – a slight smudge beneath the eye but totally acceptable for that amount of sweat! It even looked reasonable after a few hours in the swimming pool at Center Parcs. I didn’t put my head under, but I did get splashed. A lot. It went into these little flakes, and they brushed off quite easily. And as you can see, the majority of it stayed on my eyelashes. After using this natural mascara for a few months, I am now finding it is getting a little cloggy, so I am having to use my trusty lash comb occasionally. But it’s not a problem, just something to be aware of. This mascara comes in black and brown. 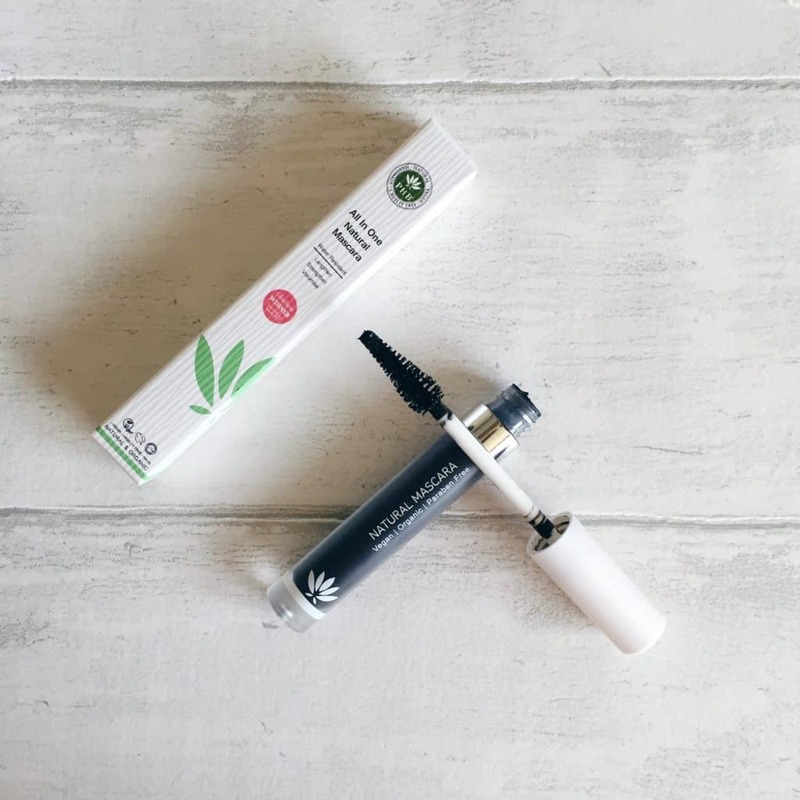 It’s £15.95, so on a par with higher end mascaras, and considering how well it performs, and it’s eco-credentials, I think that is quiet reasonable. 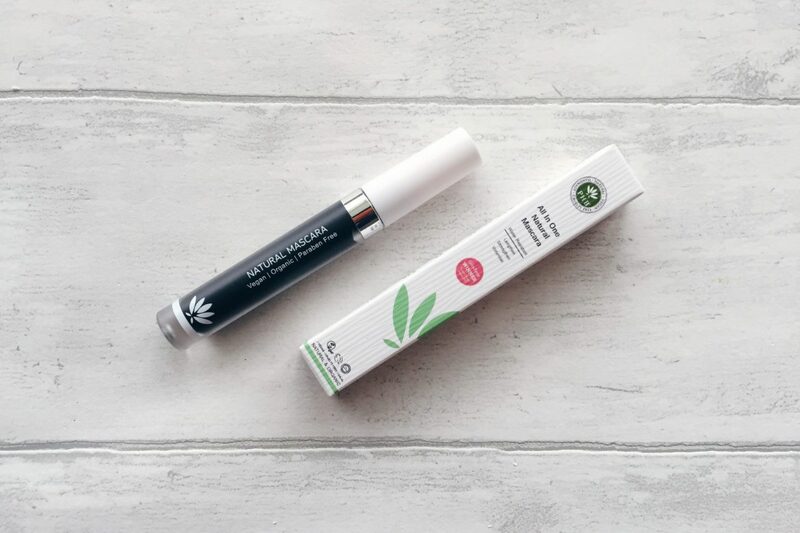 You can buy it at Love Lula*, one of my favourite online shops, which specialises in ethical beauty products. This is the second PHB Ethical Beauty product I’ve tried and I loved the blusher just as much. I’m sure I’ll be trying more products over the next few months. Have you discovered any ‘green’ beauty items that are just as good (or even better!) than their high street alternatives? I’d love to hear about them – please leave me a comment! PS. I’ll let you in to a little secret: I have barely any eyebrows left after over-zealous plucking in the nineties. You can find out I get them to look a LOT fuller, and see the ‘before’ images, on my post about eyebrows. Why not pin this for later so you can find it again when your mascara runs out? Linking up with A Moment With Franca for #KCACOLS. I’ve had this lovely mascara for a few months and I am so happy organic brands manage to achieve such great formulas ! Boho green and SoBio Ethic are other organic brands I really like ! I love PHB too! I bought the brown mascara and liked it, especially as most other brown mascaras make my eyes hurt and cry. However, after less than 2 months, it’s become thicker and very cloggy,so that I have to clean the brush each time I want to apply it. Which means I can’t use it when I’m in a hurry. Thanks for your reviews. Holy cow, your lashes look AWESOME! I personally feel that I can skip all other eye makeup EXCEPT mascara. A gal can look asleep without it! I think it looks great. It is good to know that there are well made natural beauty products out there. This one looks amazing, I don’t wear much makeup but I always use mascara. Once my current one runs out, I must give this a try! Oh I love a good honest Mascara post. (That is the MUA in me). Wow this looks fab! I have really short lashes and am always keen to try something new that might improve them, this looks great! I’m definitely going to try this when my current Clinique naturally glossy one runs out. Think my lashes are a bit like yours and I find lots of mascaras can look a bit clumpy/ unnatural on me so have always stuck with the Clinique one but the PHB one looks perfect!